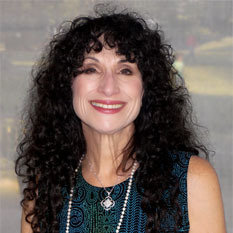 Poet, essayist, and naturalist, Diane Ackerman is the author of two dozen highly acclaimed works of nonfiction and poetry, including The Zookeeper's Wife and A Natural History of the Senses ― books beloved by millions of readers all over the world. In prose so rich and evocative that one can feel the earth turning beneath one’s feet as one reads, Ackerman’s thrilling observations urge us to live in the moment, to wake up to nature’s everyday miracles. Biographical information from Diane Ackerman's website.